Welcome to Bence Chiropractic Wellness Center! 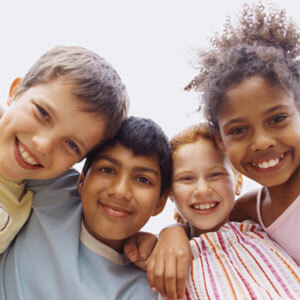 We welcome children of every age, from newborns and toddlers to grade school kids and adolescents. Our mission is to make sure that children sail through the growing process without burdens such as pain, ADHD, learning disorders and immune deficiency. It’s our passion to help little ones thrive and eventually blossom into adulthood with optimal health, vitality and adaptability. Children respond quickly and efficiently to our gentle chiropractic adjustments. If your child is suffering from any physical or emotional issues, we may be able to help. Call us at (586) 978-9900 to request a FREE consultation. Sterling Heights chiropractor Dr. Pavel Bence is a family man, with 8 children of his own. He has over 30 years of experience, and the tools and expertise to handle even the toughest cases. Dr. Bence uses safe, gentle and effective chiropractic techniques, as well as research-based and scientifically validated. He was one of the first doctors in the state of Michigan to become a certified Wellness Practitioner. Contact us today and ask about our new patient special!